JEDDAH: Two women became Saudi Arabia’s first female firefighters, as part of sweeping reforms to empower women that falls in line with the Kingdom’s Vision 2030. Saudi Aramco trained two Saudi women in engaging in firefighting operations, in the first-ever training program of its kind in the Kingdom, a profession that has been usually dominated by men. 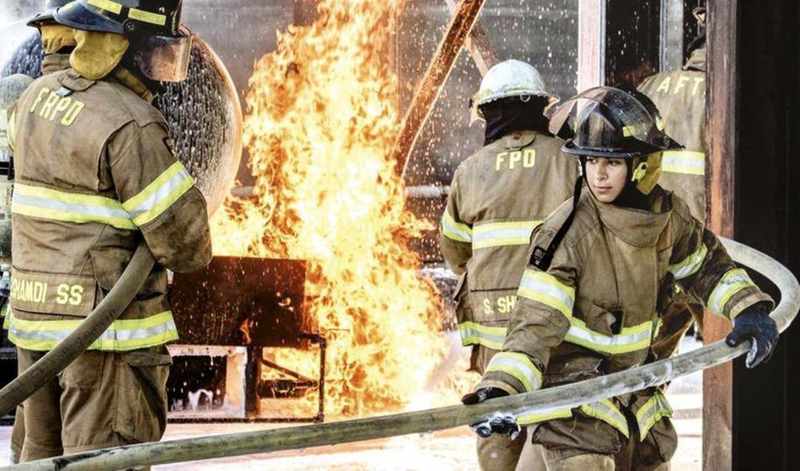 Engineer Ghaziyah Al-Dossari said she was inspired by his father’s firefighting program, a firefighter who was passionate about his work, and that her family was proud to continue to inherit the profession, adding she felt her joining the fire department was a dream. “I am happy to be part of this opportunity that represents equality, especially as I can get to work alongside my male colleagues,” said Abeer Al-Jaber.